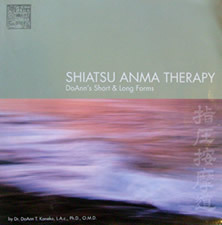 One of the best detailed text books for Japanese style Anma & Shiatsu practice for beginners. This is a well designed and beautiful book with color anatomy, meridian charts and actual practice diagrams in a highly effective sequence. Here you have complete instruction for the entire body utilizing three postures, and incorporating dozens of techniques. You will learn how to improve four very common conditions situated in the head, neck & shoulders, back, and abdomen - using approximately one third of the entire acupuncture points (365). 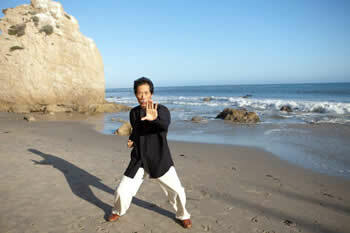 The Long Form focuses on the root of the energy blocks which are along the spine and the abdomen. Enjoy practicing with an excellent narration. 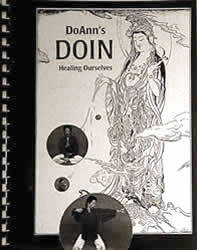 We are what we believe, and this book shows what you want to believe in regarding natural healing power within. Every one has potential fudamental abilities to deal with health issues. We want to cultivate this in our every day practice through meridians, exercises, Baduanjin / silk movements, breathing, self treatment, meditation, and prayers. This DVD will include how to release toxicities in the abdomen, another popular side posture sequence, advanced various pressure techniques and more neck & shoulder treatments in the sitting position. Thus you can treat the common complaints with more results. 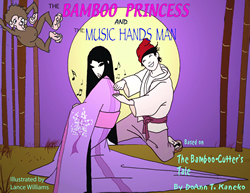 This book will inspire children ages from 5 - 10 how to relate to their parents and grandparents through 'music hands' based on traditional Japanese folklore, 'The Bamboo Cutter's Tale'. Here we deal with the timely issues of family values, healing arts, peaceful society and happiness. According to Dr. Kaneko's 40 years of history and his clinical experience of energetic medicine, it is very important to be aware of healing power and be able to access our pharmacies within. It happens when one believes in the healing system with faith. 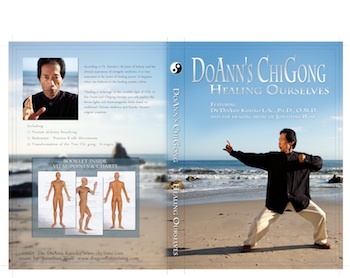 "Healing is believing" in the invisible light of CHI. In this Daoyin and Chigong therapy you will explore the divine lights and unlimited electromagnetic fields based on traditional Chinese medicine and Kaneko Sensei's original practices. Enjoy this DVD at home with friends and family. 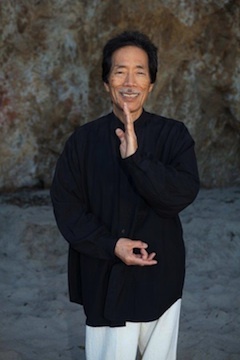 In this vital health exercise instructional video, you will learn how to achieve homeostasis - the balance between yin and yang - as you become educated in Nentan alchemy breathing, Baduanjin - known as Silk movements - and the Transformation of the Tree Chi gong. This Chi Gong exercise video includes a 9 page detailed image-based chart of all points associated to the movements covered in this informative video. Available in Blu-Ray ($25.00) and DVD ($22.50).